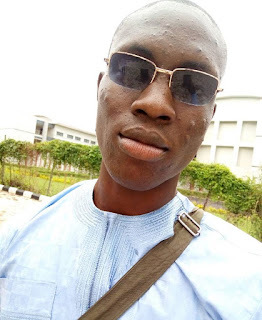 Home / Unlabelled / EFIWE GISTS: UI Student Loses $425,000 Deal Because Of His Nationality | READ! EFIWE GISTS: UI Student Loses $425,000 Deal Because Of His Nationality | READ! 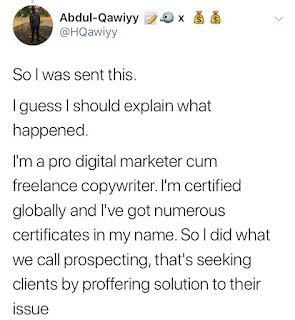 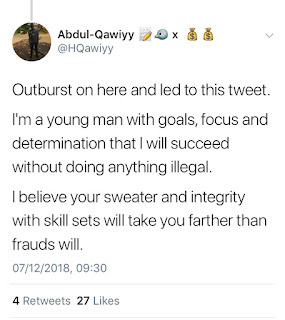 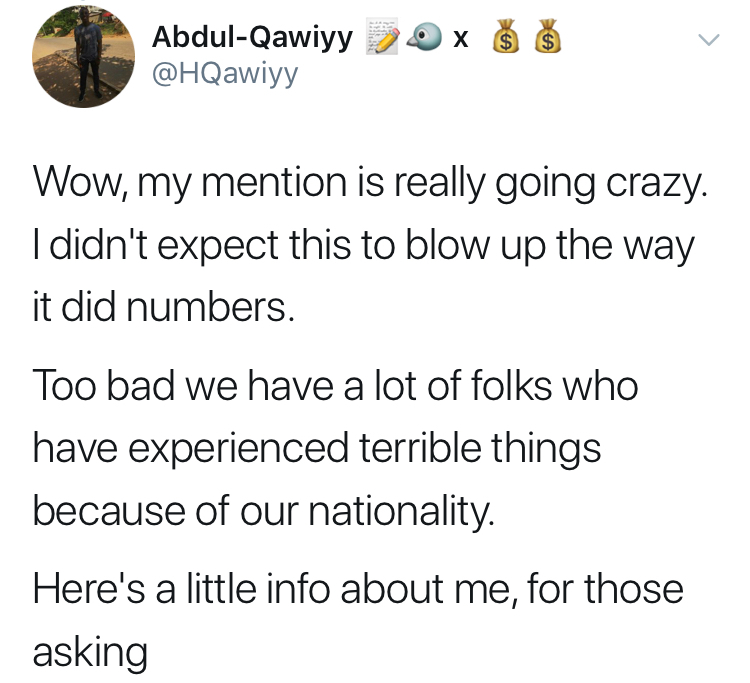 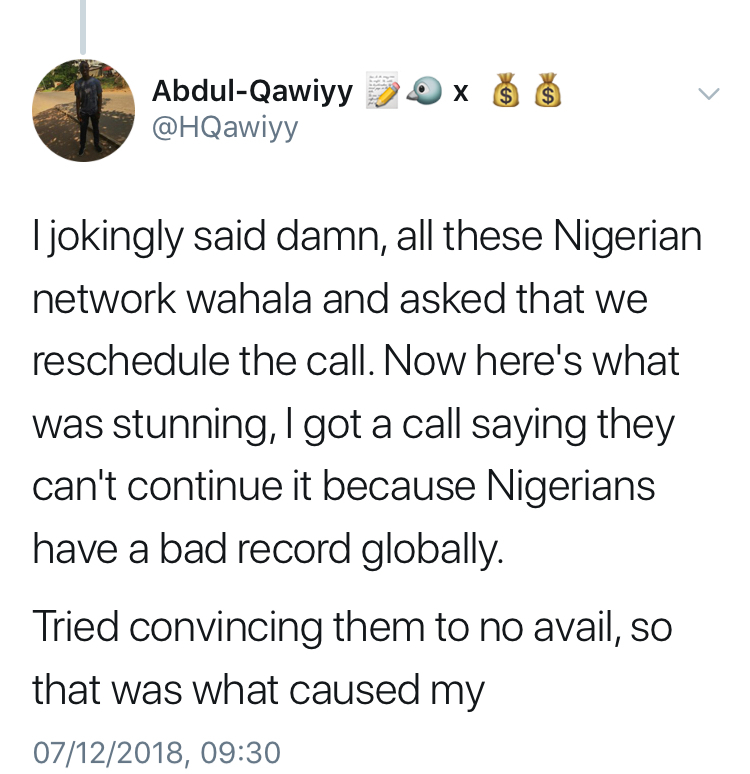 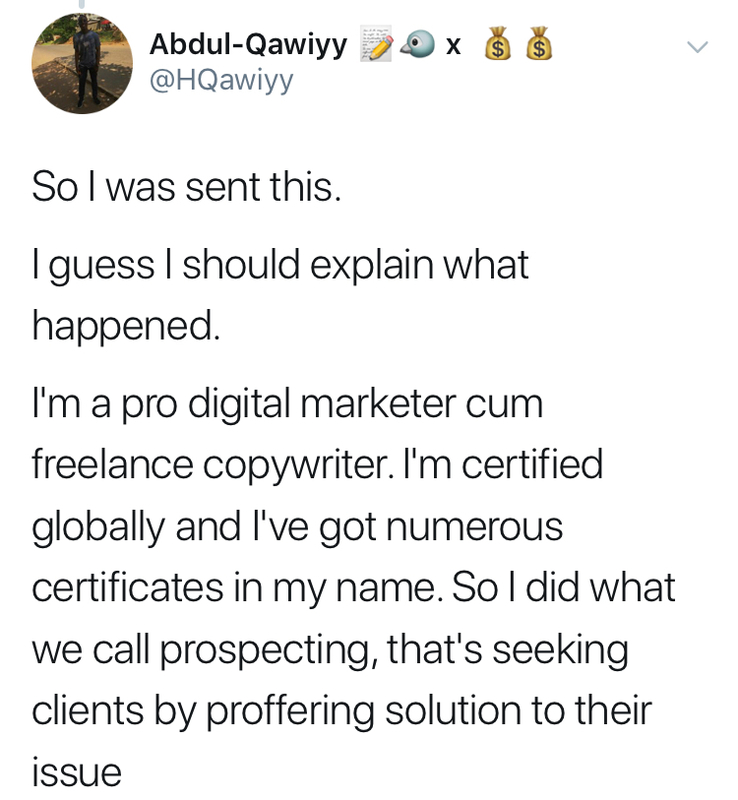 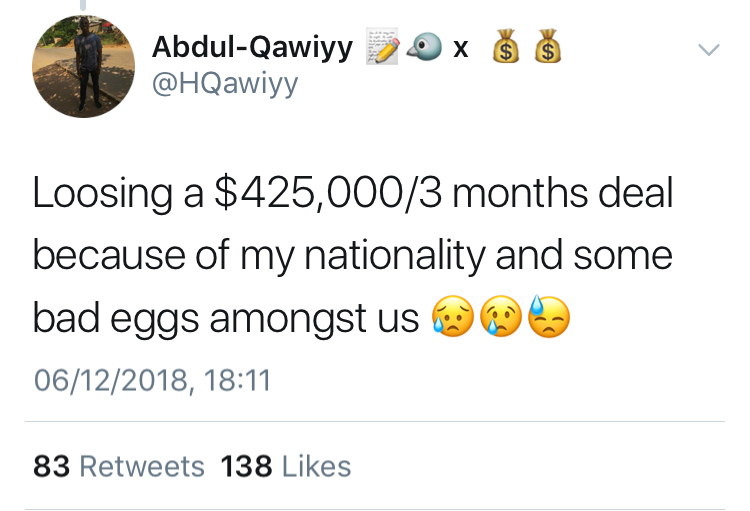 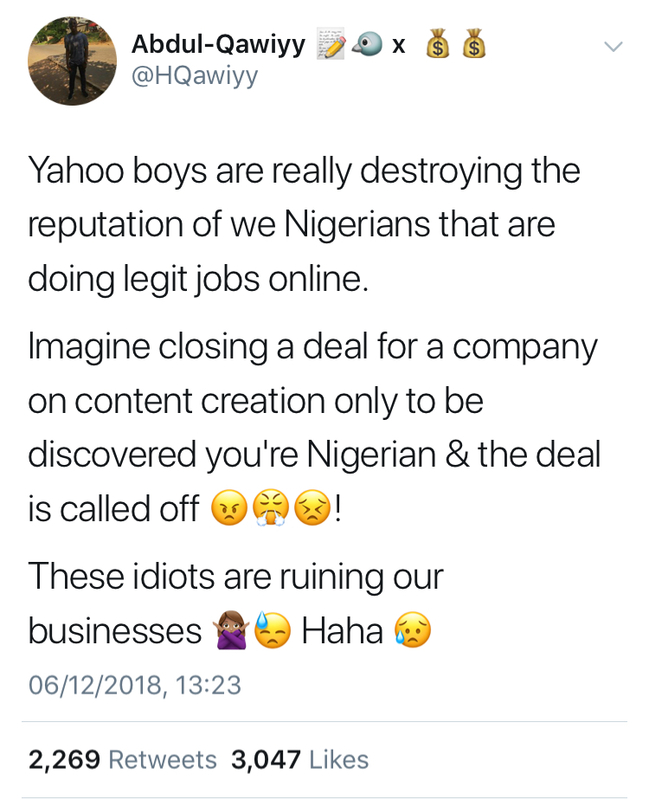 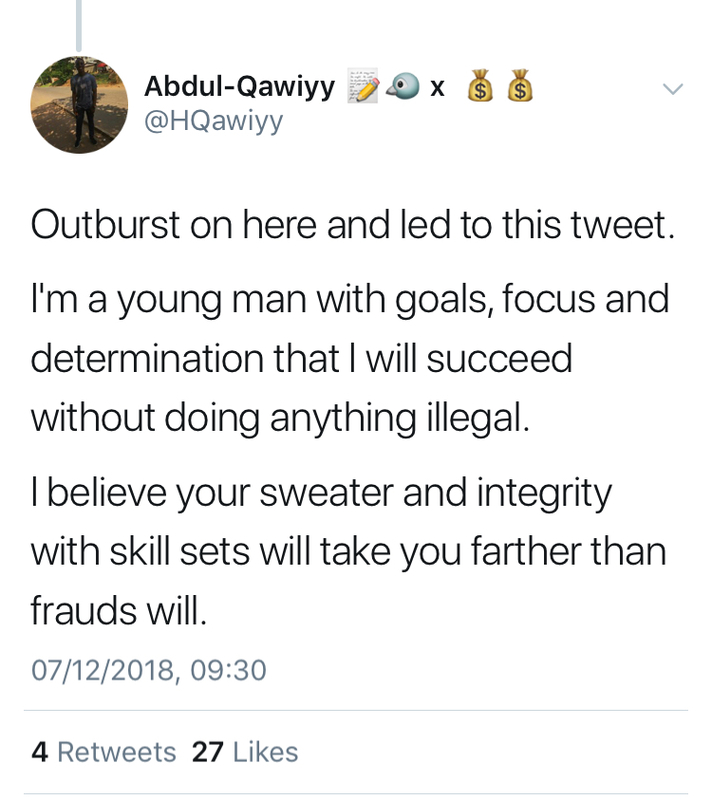 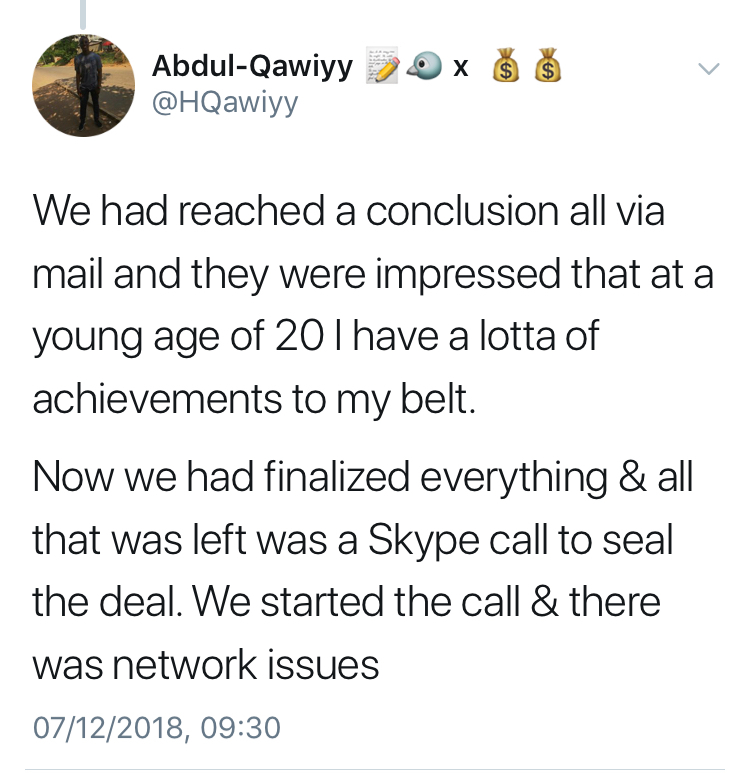 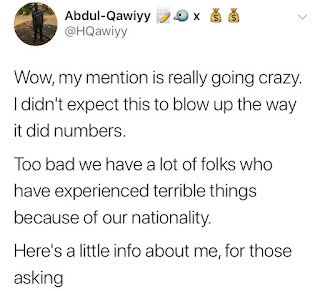 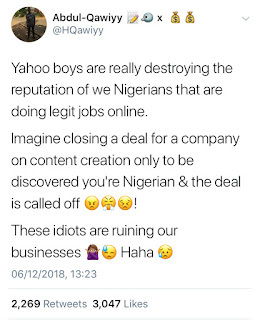 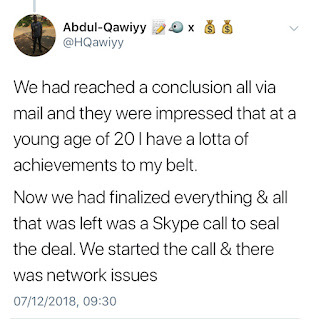 UI Student, Hammed Abdul-Qwaiyy laments after losing out on a $425,000/3month deal with a foreign company because of his nationality and young boys doing frauds who are popularly known as Yahoo boys.